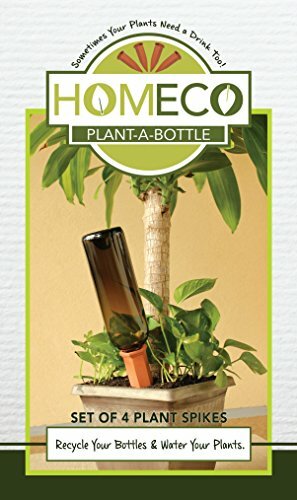 VACATION PLANT SITTER AT YOUR SERVICE: Simply fill a bottle with water, insert Plant-A-Bottle into the soil and go on vacation or on a business trip while your plant stays wet and cared for. No more hiring a plant sitter or coming home to dead plants! UNDENIABLY THE BEST: No need to think about watering your plants on a daily basis; use that extra time to do something fun. 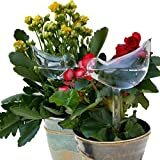 Great gift for: Mother's Day, Father's Day, Birthday, Boss, Bridesmaids, or just because, for anyone who loves their plants. 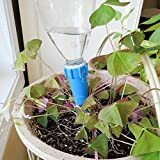 EASY AS PIE: With this simple device any plant container can be converted into a self watering container. Enjoyment is one order away. 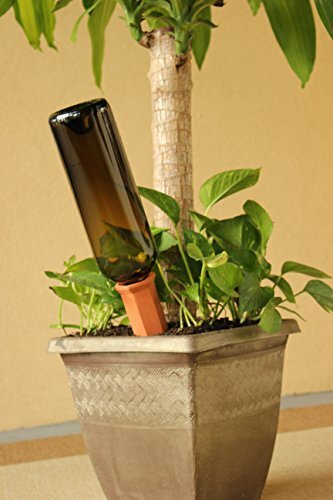 Plant-A-Bottle can be used in your Home, Office, Patio or Garden potted plants. You will be the envy of your friends! 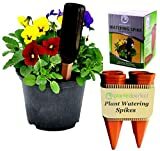 HAPPY, HEALTHY PLANTS: Four (4) Plant Spikes per package to keep your plants from drying out, and eliminates the need to haul heavy watering cans that can wash away soil, drip on the floor and wash nutrients out of the pot from over-watering. Bring the joy of plants back to your home and office. 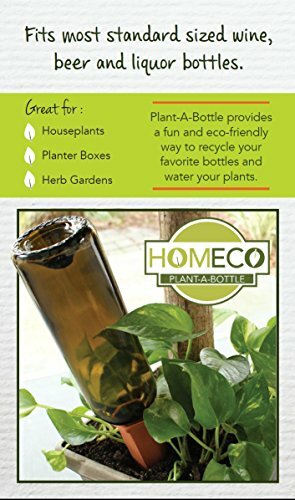 ECO-FRIENDLY: Plant-A-Bottle is a great Eco-Friendly solution for watering plants and recycling any bottle. This is your chance to make a statement with your Favorite Recycled Beverage Bottle. 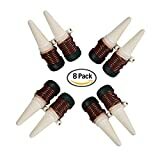 Works great with: Wine, Liquor, Beer, or any other long neck bottle. Give your Plants some Personality! Sometimes your plants need a drink too, and what better way than allowing them to water themselves. 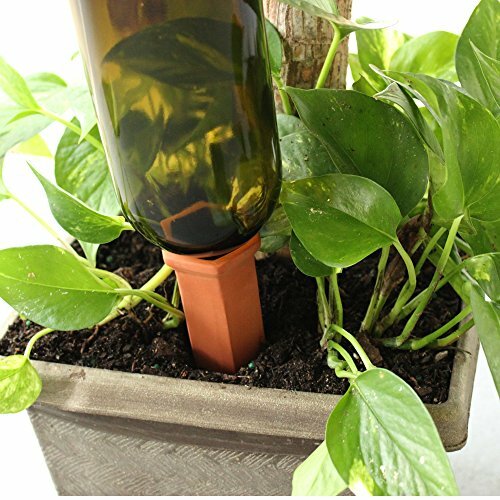 With Plant-A-Bottle you will be able to recycle an old wine, liquor, or beer bottles and go from manual plant watering to automated plant watering. 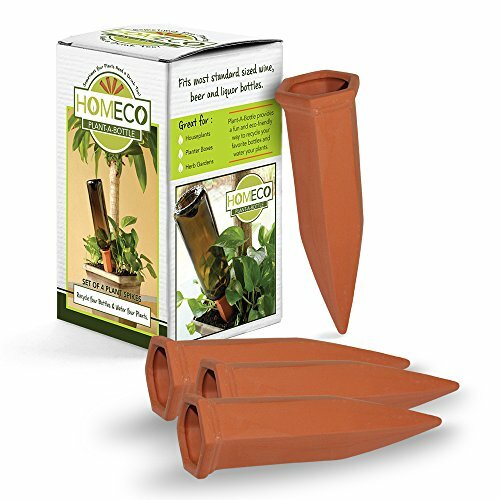 Plant-A-Bottle will keep your soil moist for up to two weeks and will promote a healthy root system. 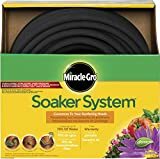 This eco-friendly watering system will keep your plants healthier by not over watering and flushing away soil and nutrients that your plants need. 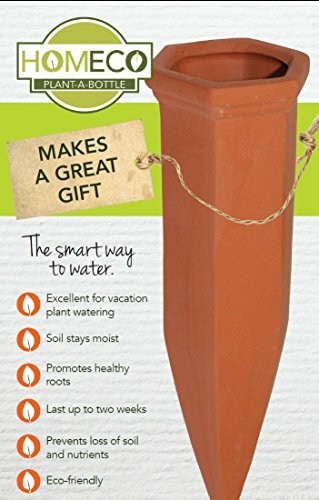 Plant-A-Bottle measures 6.5" X 2" and is made from terracotta. 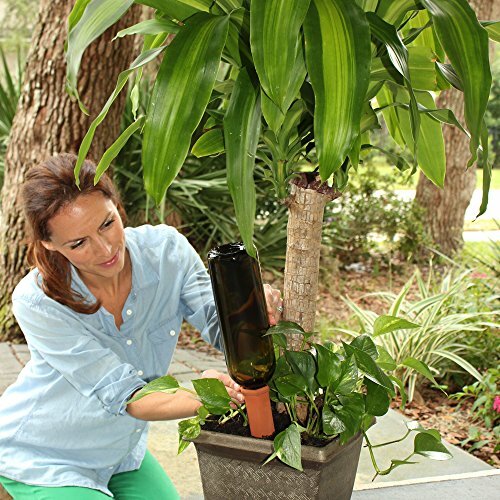 Plant-A-Bottle will keep plants hydrated for up to 2 weeks on a single bottle of water. 1. 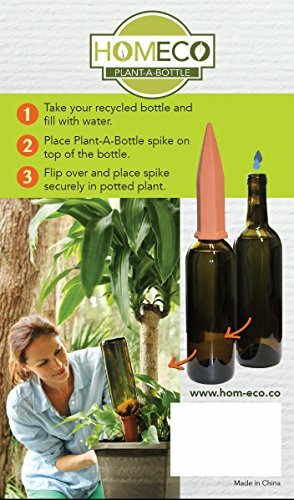 Fill recycled bottle with water. 2. 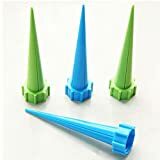 Place Plant-A-Bottle spike on top of the bottle. 3. Flip over and place spike securely in potted plant. We have recently improved our packaging to improve the durability of our product.